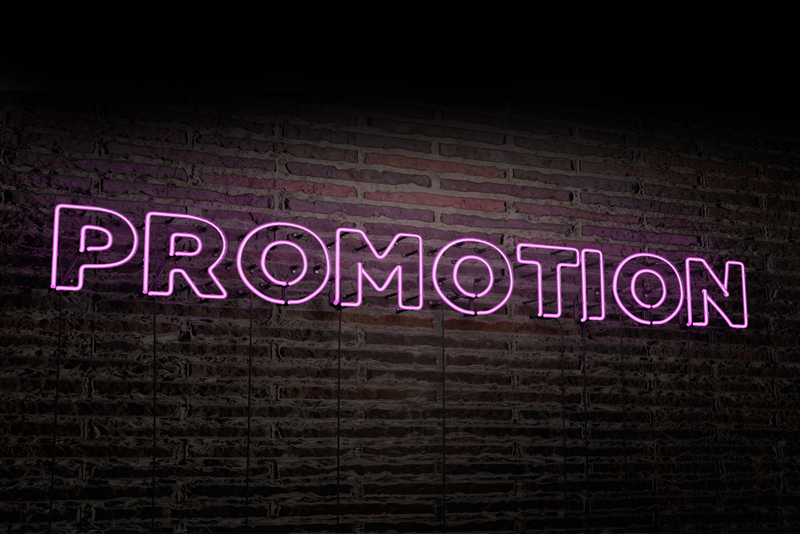 ‘Promotion’ is a vital part of any marketing plan – and is all about increasing awareness, generating interest and building on brand loyalty. To achieve this, every company needs to decide how they are best going to communicate their brand messaging to their audience, and with what tools. This is where the promotional mix comes in. The promotional mix consists primarily of 6 elements; advertising, public relations, sales promotion, personal selling, and more recently e-commerce and social media. Choosing which elements of the promotional mix to commit to is not always easy. And superficially dabbling in all six elements of the promotional mix with no real strategy will only be a waste of time and money. Instead, the aim of any company should be to create a consistent message across a carefully selected mix, that resonate the most with your target audience. Here are the key questions you need to ask yourself before you take any decisions. First of all, what are your goals and objectives, and what you want to achieve from your promotional mix? You may have launched a new product and want to promote it to the right target audience. Maybe you have identified a new market segment who you think would be interested in your service? Or do you just want to increase enquiries? How are you going to achieve these goals and objectives? In order to see real returns-on-investment you need to decide which elements of the promotional mix will help you achieve your objectives. A good tip is to always think about your target audience and how best to communicate with them. If they are primarily found online, then social media should definitely be a predominant part of your promotional mix. Advertising: Advertising used to be non-personal mass communication. However, digital ads now allow you to advertise to specific targeted groups. Advertising tactics may include Google Ads, Social Media Ads, trade magazine adverts or traditional advertising via television adverts and billboards. Public relations: Public relations can include writing articles for the local media or trade media, publishing articles on your blog or even hosting events for the launch of a new product. Sales promotion: Sales promotion includes marketing efforts that stimulate consumer buying, including coupons and samples, displays, shows and exhibitions, demonstrations, and other types of selling efforts. Personal selling: Personal selling normally refers to face-to-face selling via the Sales team. What do your Sales team need in order to achieve the set objectives? Do they need new handouts to leave behind after meetings? Or maybe new PowerPoint templates to look more professional when presenting to clients? E-commerce: In the digital era, your website becomes one of your biggest sales tools. Therefore, you need to understand how to develop and use your website to promote your business as well as encourage up-selling and cross-selling. Is your website telling customers to right message about your company? Social media: Social media is the latest element of the promotional mix, but often one of the most important ones with the highest return-on-investment. Social media promotion strategies can vary from regularly posting updates via your business channels, to encouraging shares and paying for advertising space. What is the message you are trying to communicate? Coming up with the right message is sometimes the hardest part. It needs to inspire a desired response from your target audience. Do you have the resources in place to realise your desired marketing mix? A promotional mix requires a sufficient amount of budget, but also requires dedicated time and dedicated skills to see it through. At Crush we specialise in creating and building tailored promotion strategies, to suit your business needs. If you would like to find out more, or just require some design or digital help, we’d love you hear from you.